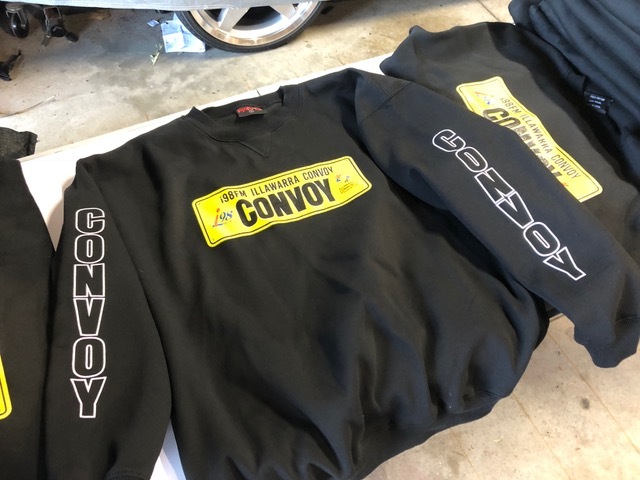 Our new Convoy 2018 jumpers have arrived thanks to Damon Bishop Graphics! These are now for sale at MJ Rowles ONLY!, 43 Croome Lane, Albion Park Rail. We also have a whole bunch of amazing new merchandise currently being printed, and this will all be available in September when the Convoy office opens!